We can’t make it clear enough that although the industry has its share of funeral scams and unsavory charlatans, most funeral professionals do what they do because they care about people and will treat you right. We’ve sold plenty of urns to funeral homes for situations where they aren’t marking the price up at all, or even taking a loss in order to care for a customer in need. So like any industry, the vast majority (in our experience, and that of many others as well) of funeral directors and cemetery staff will give you a good service for a fair price. The Way It Is, by which I mean effective-if-slightly-manipulative sales tactics that more-or-less honest people use as part of their job simply because that’s the way they’ve always done it. 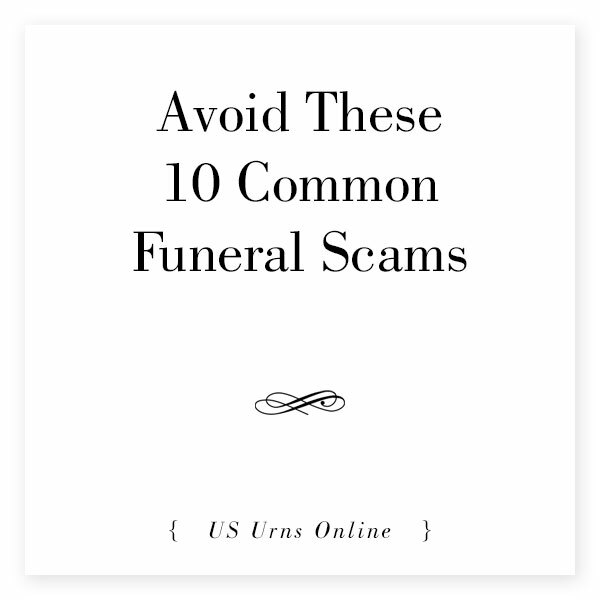 These 10 common funeral scams, which we’ve listed below, address both genres of rip-offs. The first is The Charlatan, the type that you may see in a full-blown scam from an unsavory salesman. More likely, you might encounter a version of one of these that amounts to no more than a generally acceptable sales tactic to get you to buy more because it’s simply The Way It Is. How common are these scams? It’s hard to say. Our experience has been that, while the stereotype of the unscrupulous funeral director is definitely overblown, these things do happen. Be aware that, in most instances, you will encounter wonderful staff who will strive to help you and take care of your family’s needs in a difficult time. Many people in the funeral industry get into it because they’ve experienced a death, understand what you’re going through, and want to help. Like anyone in retail or consumer industries (including ourselves), they would prefer to sell you the higher-end products and services that generate more revenue. Those things may be pricier, but they’re usually truly worth it. There’s nothing wrong with that! Overall, in most instances, funeral professionals will be upfront, honest, and helpful about your options while respecting your choices. Have you been well-served by a funeral home or funeral director? Have you been on the receiving end of one of these scams, or something not mentioned here? Be sure to leave a comment below to help educate others. With that in mind, the best way to save money and avoid any real scams is to learn about them. Here are the 10 most common funeral scams and how to avoid them. They roll out the most impressive – and expensive – casket first, and wax on about how your loved one deserves the best. Then they show a less expensive but much less attractive model, and lastly a mid-range coffin. Not wanting to appear cheap or unloving to your departed family member, you choose the middle option. Industry studies have shown the average casket shopper buys one of the first three casket models they are shown and usually the one that is in the middle price range. This means it is to the funeral director’s advantage to steer customers towards showroom models first. The Federal Trade Commission’s Funeral Rule helps to protect the rights of consumers regarding funeral products and services. It details that you have the right to a full price list for all the items that the funeral home offers. Also, you can purchase your own coffin (or urn) online, so you are free to shop around to find what works best for your budget and design tastes. Sometimes a funeral home will only stock some budget-friendly models of caskets or urns in an unnattractive color. This will subtly steer you away from that class of products. To avoid this scam, you can ask about the different options that are available for each product, and you can shop online. There are hundreds, if not thousands of casket designs available online for under $1000. 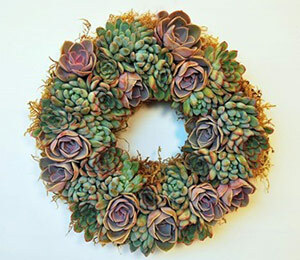 Most of these can be ordered and delivered well before the date of the funeral. So ask about availability of different options, and compare prices online if you need to. This may be the biggest straight-up ripoff in the entire funeral industry. Some funeral homes will try to sell you a casket with “protective” features. This is basically the addition of a $20 rubber gasket, and the upcharge can be in the multiple hundreds of dollars. There is no need for these “protective” features, as they do very little to actually protect the casket or preserve the body. In fact, they have even been known to make the casket explode from a buildup of gasses and fluids from the body. This is a genuinely helpful question, when it comes from an honest funeral director. And we want to make it clear to you that by far the majority of funeral professionals in the business are truly trying to help you. Sure, they need to make a living too, and yes, funeral homes mark up their products and services – there’s no other way to run a business. No one can give everything to you at cost, so be sure that you’re not holding funeral directors to an unrealistic standard. When a funeral director asks you about your insurance, they’re probably trying to help you figure out the best way for you to have the service you want with as little out of pocket as possible. That’s a good thing! So where’s the scam? The scam is when they try to squeeze every penny out of your insurance policy by steering you towards a package that is somehow priced right at the amout your insurance policy covers. Or perhaps a bit over, if they get some additional information from you – “Are there other family members who can contribute if it goes over?” “We also accept credit cards…” etc. This is another question meant to gauge how much you can afford. See above. The funeral home will at some point ask for your address, and that is pretty typical. The thing to watch out for are those probing questions that try to feel out the maximum dollar amount available. To avoid this, the best thing to do is what you’re already doing by reading this article: Be an informed consumer. 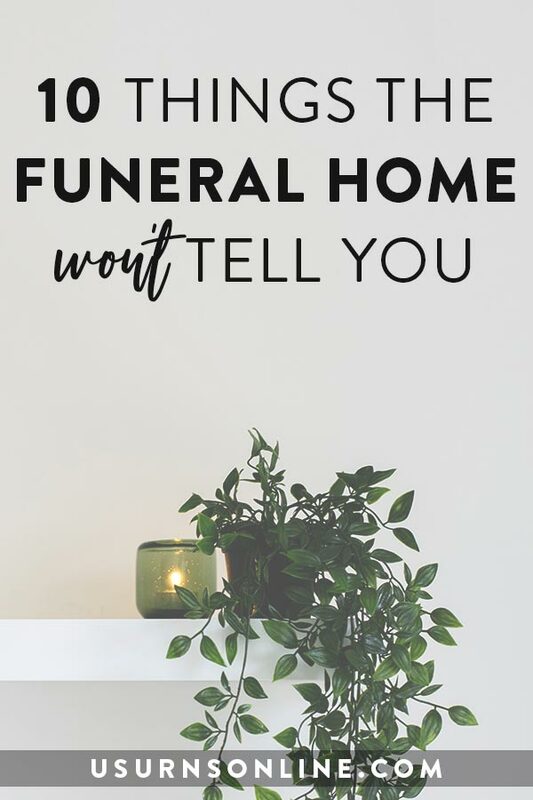 Check out prices online, read up on the FTC Funeral Rule, learn about options in advance, plan ahead, think about what your loved one would actually want, take a friend along with you who can be a little more objective when listening to the funeral home spiel. Here we have a simple presentation trick. All the full-blown retail prices are listed for a wide range of products and services, which are bundled together and discounted so that it looks like you’re getting a great deal by paying for the whole package. These deals often focus on the discounted rate of the casket, and in so doing helps keep you from shopping around for a better casket price. However, at the same time, other fees are added in or even increased, so that the total amount you pay comes out to be about the same as you would when buying a full-priced casket. Remember, many of these fees are legitimate. The funeral director needs to be paid for her time and effort. It costs money to dig a grave, to provide a headstone, and to keep the grounds looking nice. The ease of purchasing a casket or urn from the funeral home is a great benefit, but keeping those items in stock and available comes at a price, which is certainly fair. Be sure to keep these things in mind. …reduce the price of their caskets, but make up the difference by increasing the funeral director’s fee by a comparable amount. Mortuary service fees are intended to cover the funeral director’s time to plan the funeral, make arrangements with a cemetery and obtain required permits such as a death certificate. The FTC says these tasks should take about four hours or less and should not be a large expense. Be suspicious of any package deal that includes a mortuary service fee in the thousands of dollars. In some places, this may literally be true. But more often than not, you have several options for burial places. Cemeteries are allowed to require outer burial containers. This is a good thing, because it keeps the grounds looking nice and ensures that the grave won’t eventually cave in. For this item, cemeteries or funeral homes can easily give you the impression that there is just one option for burial container (which happens to be very expensive), and you just kinda need to go along with it. This just might be a scam. Now, once again, cemeteries are free to require what they need to in order to maintain the quality of the grave site. So just because they require a specific, high-end product does not mean it is a scam. You may simply be at a high-end cemetery that provides a beautiful final resting place for your loved ones. This is a good thing! … if you can and want to afford it. But sometimes the funeral home allows several options, or even doesn’t require an outer burial container at all. A dishonest funeral professional may try to steer you towards the high-end option even though it isn’t needed at all. Now this is a scam. Outer burial containers are not required by state law anywhere in the U.S., but many cemeteries require them to prevent the grave from caving in. If the funeral home sells containers, but doesn’t list their prices on the GPL, you have the right to look at a separate container price list before you see the containers. If you don’t see the lower-priced containers listed, ask about them. So make sure that you get a price list right away, and ask if an outer burial container is required. Perhaps burial containers are only required with certain caskets, or there are more choices than what is shown on the sales floor. You can even shop around for a separate burial place – you can have the funeral through the funeral home, and choose a different cemetery. The key is, learn about your rights and options in advance, and ask questions. Funeral homes sell, in many cases, the exact same cremation urns that you can purchase online, often at a lower price. (Shameless plug: This is what we do.) 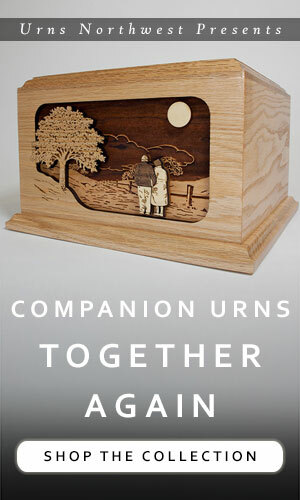 Or other products like caskets; we’ll stick with cremation urns for this example. You can find multiple thousands of cremation urns online. All manner of shapes, styles, quality, themes, styles, and levels of personalization. There are, of course, many cheap imports or poorly made items in the online world. In that sense, there is some truth to the claim that what the funeral home has on hand is better than the average online offering on, say, Amazon. And funeral homes may sometimes have items made exclusively for them, or work with manufacturers that really do only sell direct to funeral homes. However, you can find good quality cremation urns online by shopping at Urns Northwest, searching for American-made products, or looking for something handcrafted by an artisan. You will be able to choose from many more options than what the funeral home may offer, and often the prices online are much more competetive than what the funeral home charges. Also, in some instances, you may not care if the item is a more cheaply made import, as long as it is functional and looks nice. 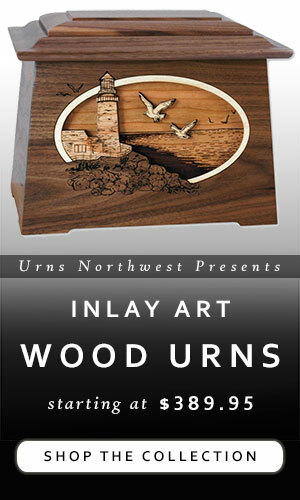 There are many, many urns you can purchase online for less than $100 that will ship to you in just a few days. There’s no need to pay hundreds or even thousands of dollars when you really just want something simple and affordable. Sometimes foreign manufacturers will copy the design of a cremation urn and even steal the original manufacturer’s photo. This makes it look like you will receive a high-to-medium-quality product, when in actuality you are getting a very low-end knockoff. So the funeral home offers a good value: You don’t need to shop around and worry if the item will actually look as good as it does in the pictures. The funeral home keeps items in stock, so you will avoid the stress of getting something delivered in time for the funeral. Sure, they upcharge for this service, but that is a good trade for the value they provide. The scam comes into play when they really pressure you into paying more than you want to for a funeral urn, or give you the impression that you can’t shop around online. Get the price lists in advance, and do some internet research to compare. Some states require embalming when transporting the body between states. Aside from that, embalming is becoming frowned upon more and more by just about everyone who does not profit from it. But embalming can be a big money-maker for funeral homes, so they may push for it. If it is something that you and the family would like to be done, then there is no problem (aside from the negative environmental effects of embalming, but we’ll save that for another day). See here for a listing of “embalming alternatives” that avoid formaldehyde, including refrigeration, dry ice, direct cremation, and more. Crematoriums only require a basic body bag to help contain the body’s fluids prior to the cremation. Honest funeral directors will let you know your options for the cremation, and usually the least expensive option involves just the minimum. Other packages may include nicer caskets to go into the crematorium for the cremation. You can certainly choose to use these, but it isn’t necessary. If anyone claims that more is needed, or that a nicer casket is somehow better for the cremation, you’re being scammed. We hope that we’ve been entirely clear: most funeral directors are there to help you. 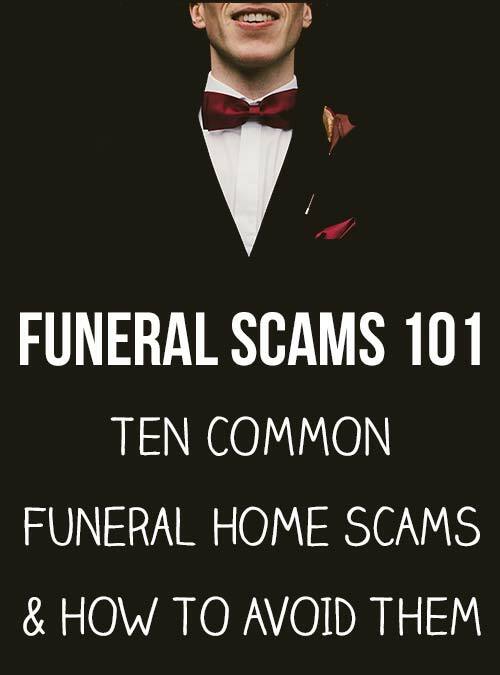 The sorts of scams and sales tactics we’ve mentioned here do happen, but just because some funeral homes try to work you over doesn’t mean that everyone is out to get you. Funeral directors are there to help you, and they’re also there to make a living. As with every industry, they will use sales tactics and encourage you to buy nice things. That’s ok. Yes, sometimes their products can be purchased elsewhere for less, but it’s not always convenient for you. Yes, one funeral home may charge more for a service you can get cheaper across town, but that gang may be running The Casket Gasket Scam or The Packaged Deal Scam or just may not care as much. Your job, as the consumer and as a good steward of your resources, is to stay informed, protect yourself from getting ripped off, and choose what is best for your family and the funeral you want. 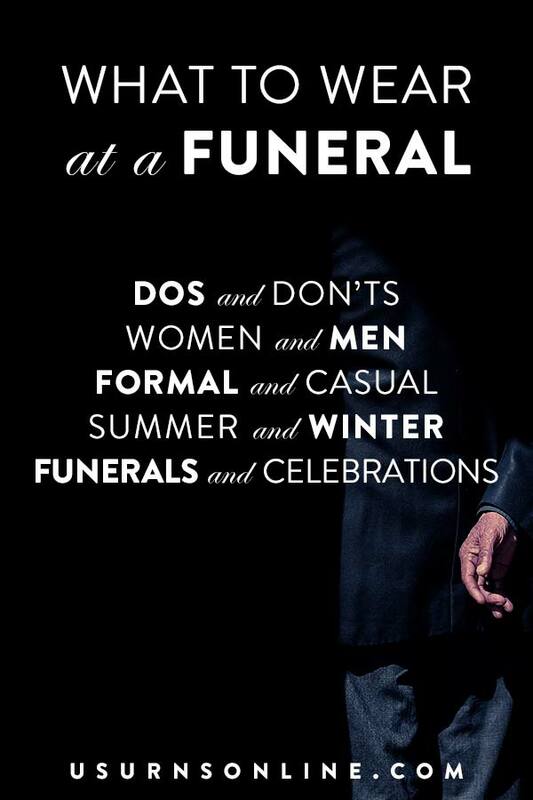 But make sure you’re not running your own scam on the funeral home. Don’t threaten to buy everything online if they don’t price match. That’s just annoying and frustrating. Don’t try to talk every price down. Be reasonable with your expectations, with what you can afford, and with the reality that a funeral home can’t operate at cost or work overtime for free. Funeral directors have families and need a day off now and then. Research pricing and options, and don’t be sold on stuff you don’t need. At the same time, don’t go to the best funeral home in town and expect them to provide their premium service at the same cost as Budget Mortuary with all their one star reviews. Keep in mind that the funeral director’s basic fee is really the only thing you are required to pay. You can shop around for most of the other services and products, or ask the funeral home for different options that they provide. In the space of about an hour you can avoid most of these funeral scams. Do a bit of upfront research (you’re already done most of it by reading this article! ), then call around to several local funeral homes and cemeteries and ask them to email you a price list. Spend a few more minutes shopping online for a few things like urns, caskets, and headstones. Look at frugal funeral planning tips and check out some ways to have a memorial service on a budget, and you will likely save a few thousand dollars. We welcome comments on this subject. Please leave a comment below about your experience, whether it was positive, negative, or somewhere in the middle. Next post: What is the difference between a funeral and a memorial service? Very good information that I plan to share with my followers. Thanks! over $5,000 when all done. Mom decided not to do the basics services and only do grave side. But the funeral home did not refund her. Said it was in the contract. And she still had to pay it. Is this true. You will have to check with your state’s funeral service laws that pertain to pre-need sales. Then compare the law to the signed contract. We are not attorney’s and we do not give out legal advice. My father passed away on Feb 18th. His nursing home called the funeral parlor they always use. We were away on a mini vacation. When the funeral director called me, he was very pleasant and understanding. I was not going to have a funeral, as my father only had me in his life. He told me , no need to rush back, the papers would be in the mail for me to sign. The next day we discussed over the phone, the cost. He said the simple cremation was 1,995.. My father had 2,000 in his account at the nursing home. The home would pay him in full. I waited and waited for a phone call of when his ashes could be picked up and no call. I called several times with the promise the funeral director would calle me back. This week, I made a stink because it is almost a month. the director left me a message, if I wanted them to be mailed, it is a 100 bucks. I only wanted to of course pick them up. When I went to pick them up , yesterday March 15, no one answered the bell. The answering service said they could not reach him. Then I saw a little building with a door , so I went and looked. No lights were on and it was like a storage room, chairs everywhere and it was a mess. The sign on the door says funeral door. So, I knock and I hear come in. It was the funeral director. I let him know who I was and he said * oh ya, they are right here*. They were at the corner of the high school looking desk he was sitting at. I told him I wasn’t looking for them to be mailed to me, but I never got a call he had them. He then said * oh ya, I was waiting for DHS to approve payment*. So, my head titled sideways and I said * you said the cremation was 1,995 dollars and his nursing home paid you in full* he said * oh yes, ok thank you!, so you found us ok today? * I said * I found you just fine. where is my dad’s death certificates? * He proceeded to tell me they get mailed to me. When my mother was cremated, I got them when I picked her up.. Non of this was sitting right with me, so I called my dad’s social worker who called the business office and it was PAID IN FULL! Then I called the crematory place listed on the postage of my dad’s ashes and they stated they do not have the death certificates, the funeral parlor should have given them to me when I picked up the remains. I then called back the answering service and the lady told me the town clerk does them electronically. I called the town clerk, still waiting on a call back. I called Department of Social services to report fraud for this man trying to collect more money illegally off my dad. I am going to be calling the Attorney generals office this week to report all of this and am filing a complaint through the department of health, which handles all of this. I wonder how many unsuspecting families, this funeral parlor collected money off of illegally. I will be getting the itemized bill from the home.. This man slipped in front of me and I am def the wrong person.. He had my father’s ashes since March 5th, when he signed for them. I got them March 15th.. Definitely no dignity towards the dead!